Fill in your details below and Specialist Skin & Laser Clinics will be in touch soon to confirm your appointment time. Until now, clients with a double chin have had few options when it comes to reducing chin fat. 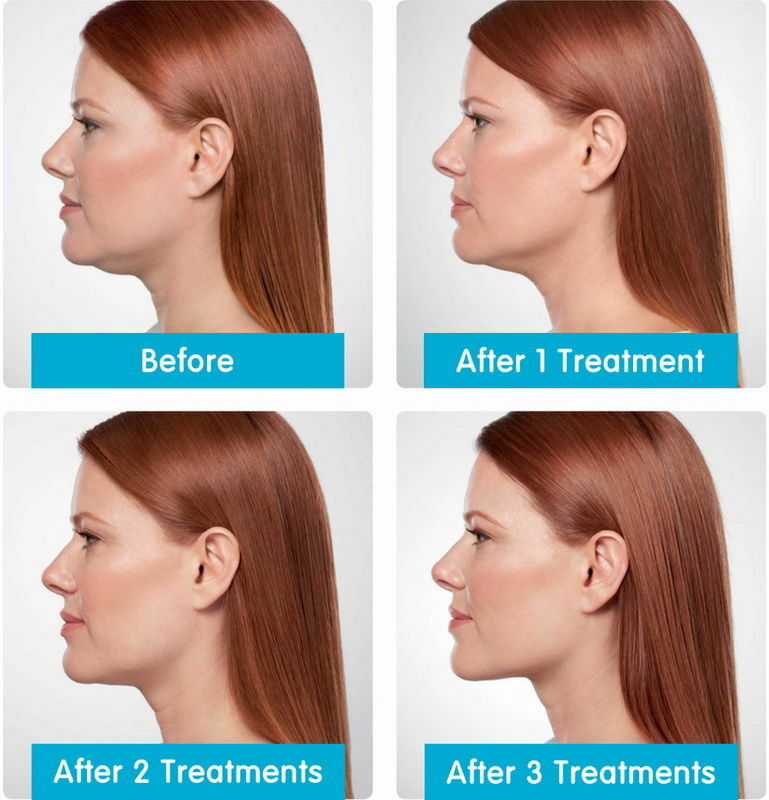 Our double chin reduction treatment is a clinically proven, nonsurgical treatment to reduce the fat under the chin, resulting in a more contoured neck profile and jawline. The active ingredient in our double chin treatment is a naturally occurring molecule in the body that aids in the breakdown and absorption of dietary fat. When injected into the fat beneath the chin, the treatment kills the fat cells. Once the fat cells are destroyed, these cells cease to accumulate fat. The result is a visible reduction of fat under the chin. Our double chin treatment is a clinically proven treatment which can be customised to suit each patients' anatomy and circumstances. More than 75% of client’s patients reported satisfaction with the appearance of their face and chin. Visible results can be seen in 2-4 treatments and re-treatment is not expected, as results are maintained for at least 4 years. Let’s book you in for a free consultation with one of our Doctors.